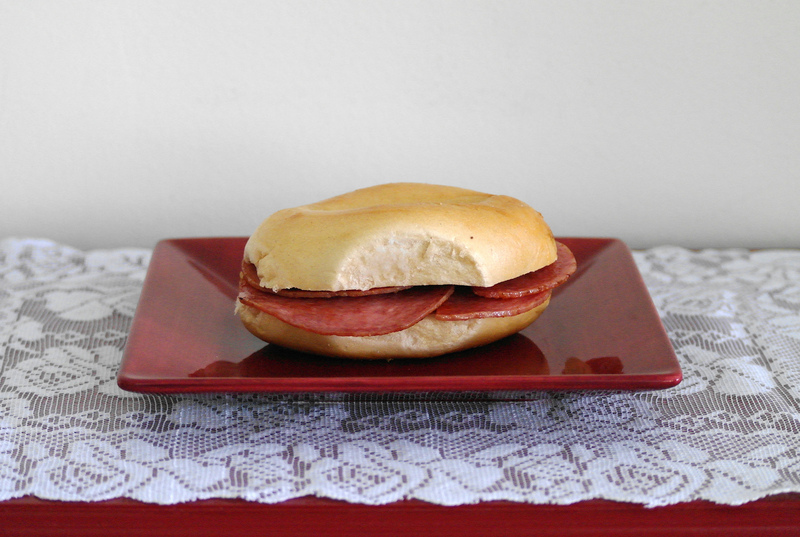 Pork roll is a seemingly classless meat with little respect or reputation on the meat market. But don’t judge a book by its reviews. Read it for yourself. Or eat it. The meat, fried on a stove top in its own greasy juices, is shaped like Pac-Man to accommodate its expansion when heated. Layered on a plain bagel– the proper platform to absorb the sometimes wet run-off– the meat will fill your mouth with a blue-collar, industrious sense of accomplishment and fullness. Don’t let anyone tell you that this is a poor man’s sandwich. You are rich with purpose.